Family Dogs and growing babies....life, lessons and love! : toddlers imitate....it's what they do. toddlers imitate....it's what they do. Where does the time go? With 3 kids in 3 different schools and a 14 month old at home time just seems to speed past and I next thing I know weeks go by without a blog post. I apologize. It is life however. Busy and great! 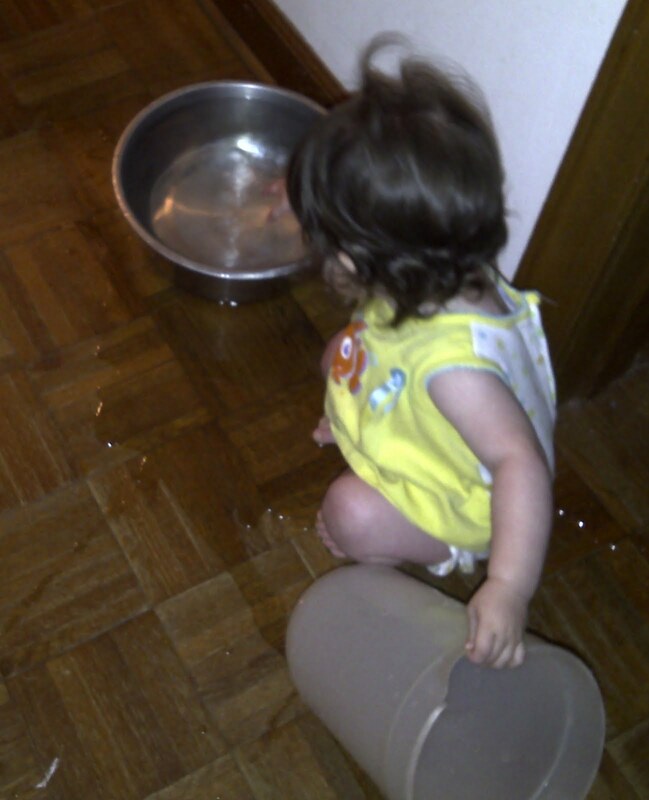 Ok, so there is so much I want to chat about but I think I will first talk about the toddlers amazing skill to imitate!! Toddlers watch, study and imitate all that we adults do. 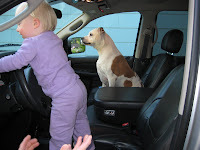 This is one of the most basic reasons you must always be sure that what you do with your dog is kid & dog friendly as you can be sure your toddler is watching and will attempt in some way what you demonstrate. Kelsyann signals "down" to Windsor. Photo on the left: Kelsyann "helps" by bringing the pitcher we use to fill the water bowl. Photo on the right: Here she is using the brush to groom her stuffed doggies like we brush our dogs. Dogs & Storks is dedicated to kid & dog friendly techniques. 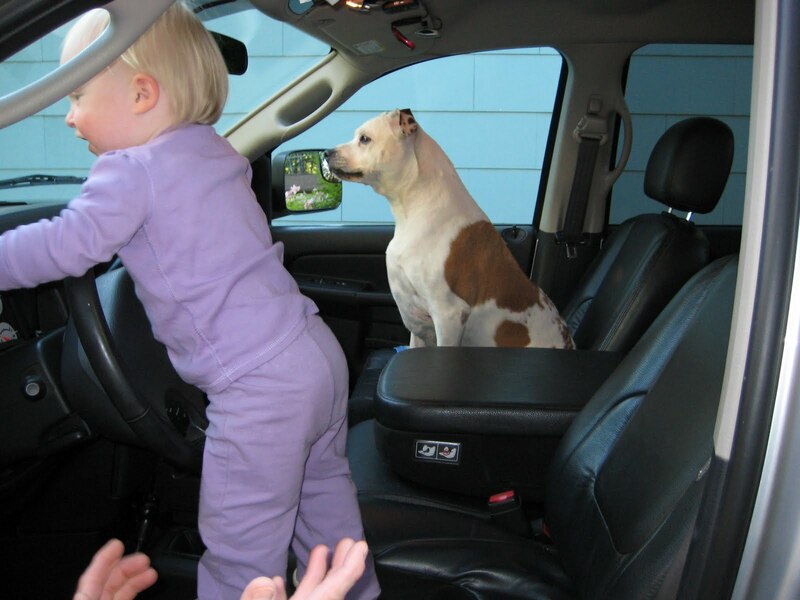 This is for the safety of the dog and the child. Harsh corrections or physical force being observed by children as a way of interaction with dogs is a set up for them to possibly get hurt. If children observe this type of behavior and attempt it on their own with their own dog or someone else's the consequences could be severe. Calm, consistent and positive interaction with your dog allows your child a good model to follow. When you are feeling overwhelmed (believe me I know those times) allow your dog a quiet place so you can focus on your baby. This is best for all involved. Less to manage for you and only an option of success for your dog. Have fun and enjoy the teachable moments! Your dog and baby will benefit for years to come!